To most people, “the one” incites an idea finding the person that you want to spend the rest of your life with, perhaps starting a family together, and growing old side by side. To car guys, "the one" takes on similar meaning, but rather than finding a partner in another human being, we seek it out in hunks of self-propelling metal. 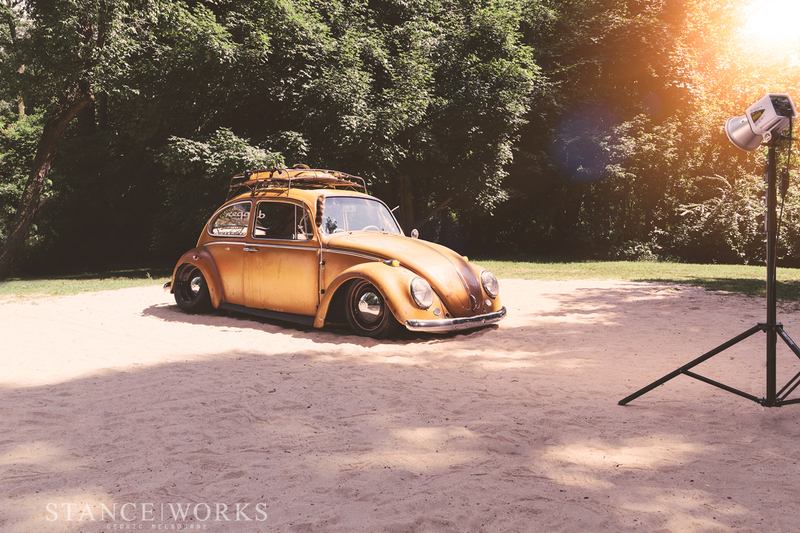 Love at first sight is something familiar to us, and in Anthony’s case, he found his partner in a particular 1965 Beetle. We often have a general idea in our head of what we want out of a car. perhaps even down to a certain color or model-year. 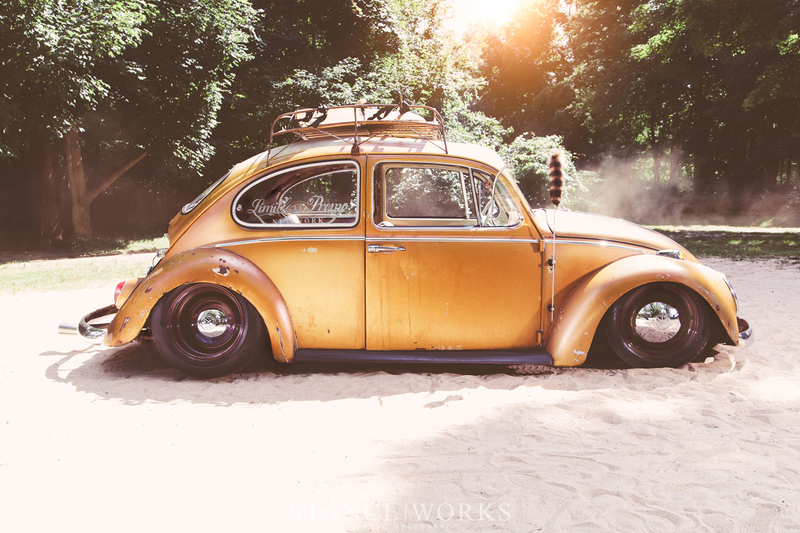 Anthony knew he wanted a Beetle, and was keeping an eye on the market, but hadn’t found one that felt right. Late last year, a good friend of Anthony’s let him know about an ad for a Beetle in need of some serious attention. More parts of the car sat in boxes than bolted to the chassis, and although the price was right, that should be enough to make anyone think twice about this being the right car to purchase. Anthony, however, had no second thoughts, and upon seeing the (completely disassembled) Beetle, he knew this was the car for him. 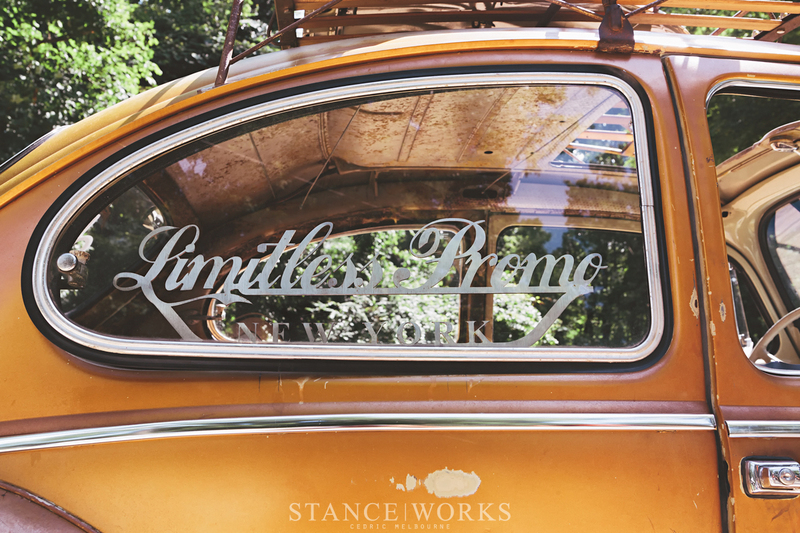 It was decided that the paint would be left in the condition the car was bought in, and Anthony was proud to show the history of the car through the patina of the body. That said, being an autobody specialist, Anthony couldn’t leave every bit of the car’s paint alone. Unlike modern cars, painted metal surfaces make up the abundance of the interior, and Anthony chose to give these a fresh coat of the original Yukon yellow, with lace paint detailing on the dashboard. 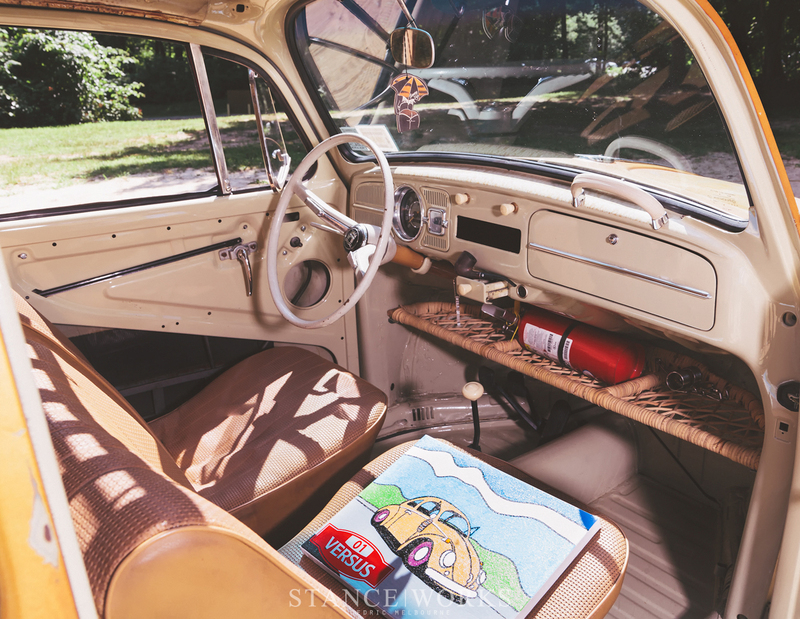 The original seats and gauges were kept for an era-appropriate feel, and a bamboo storage shelf was added to with the retro vibe. Anthony knew he wanted to car to be low, remembering vividly how it looked sitting as a bare chassis on his garage floor. 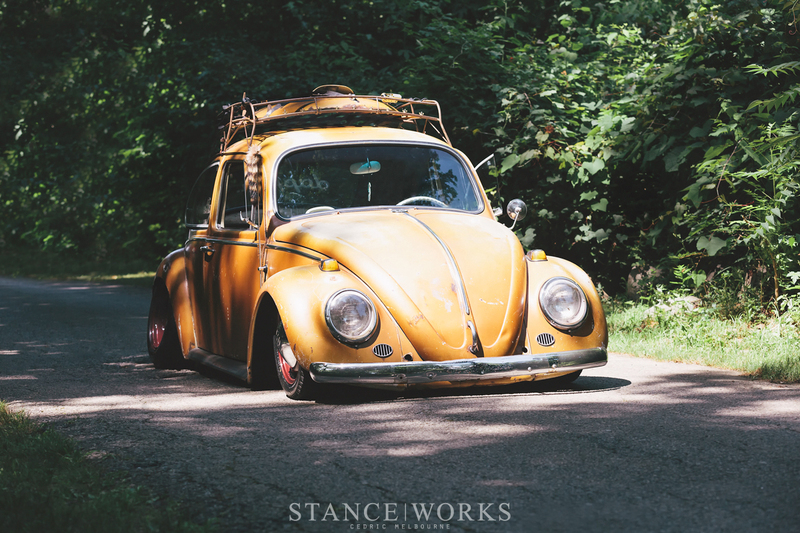 To achieve a ride height hovering mere millimeters above the pavement and still be able to turn, Anthony installed a 5-inch narrowed beam up front, along with disc brakes to bring a bit of modern stopping power to the car. Polyurethane bushings were installed all around to tighten things up, as well as fresh brake lines. The wheels are the factory 5x205 wheels up front with a 145/65/15 tire, giving the car a classic look, and preventing too much interference with the fenders. Wanting a bit more aggression out of the car in the rear, Anthony had a set of factory wheels widened and a set of 225/50/15s mounted, an aggressive tire for the old gal. The wheels received a coating of Brandy Wine, mixed personally by Anthony, which creates an unconventional color combination that is oddly appealing. The original polished hubcaps complete the package, for a traditional but inarguably good-looking execution. Rebuilding a car from a pile of parts allowed Anthony the opportunity to ensure the car was in great running and driving condition. The window seals were replaced and the 1968 1500cc single-port motor received an overhaul before being reinstalled. A 30pct carburetor was installed, along with a hotter cam which allows the car to rev out to 5300rpm. Anthony knew he wanted the car to be loud from the start of the build, so a race-style header was paired to a stinger pipe to give the car a tone appropriate for it’s aggressive styling. The engine bay also received a respray in the factory Yukon yellow, a hint to the fact that, despite the cars rough exterior, it has had some serious work put into it. 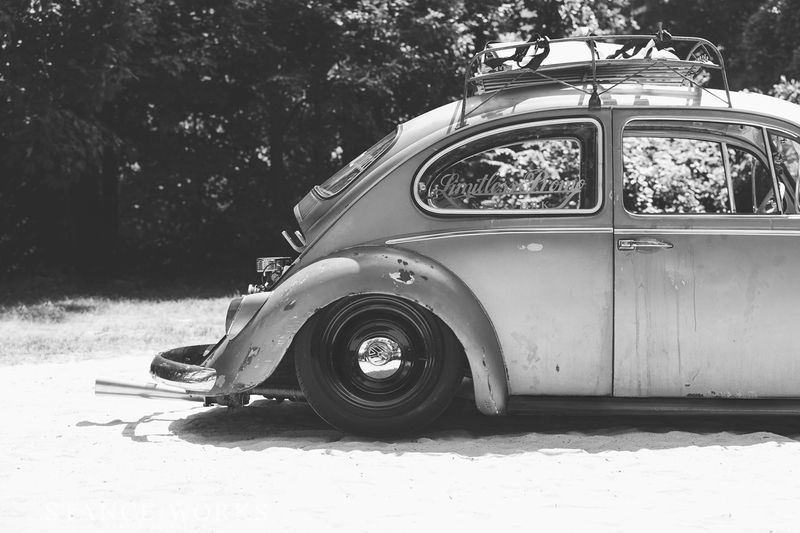 The most impressive thing about the Beetle is that it only took 4 months (and 1 day) for Anthony and his brother to rebuild the entire car from when it was purchased. Putting in night after night of work to complete a full overhaul is a daunting task, and a feat worthy of respect; one that has certainly paid off as evidenced by Anthony’s excitement surrounding the car. More plans are on the horizon of course, but he couldn’t be happier with where the car is at given the short time frame. 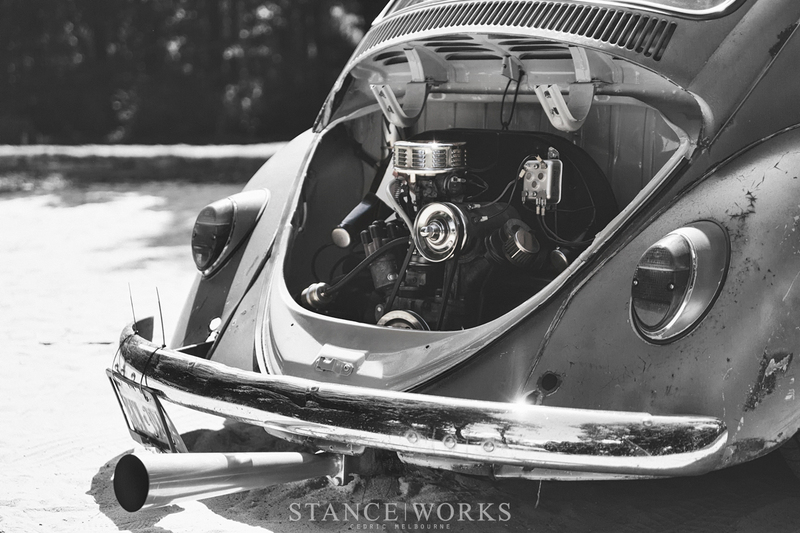 It is safe to say Anthony has found “the one” in his 1965 Beetle, and while polygamy in the car world thankfully is not frowned upon, (and I am sure we will see Anthony with another build at some point) his passion for his Beetle is admirable. 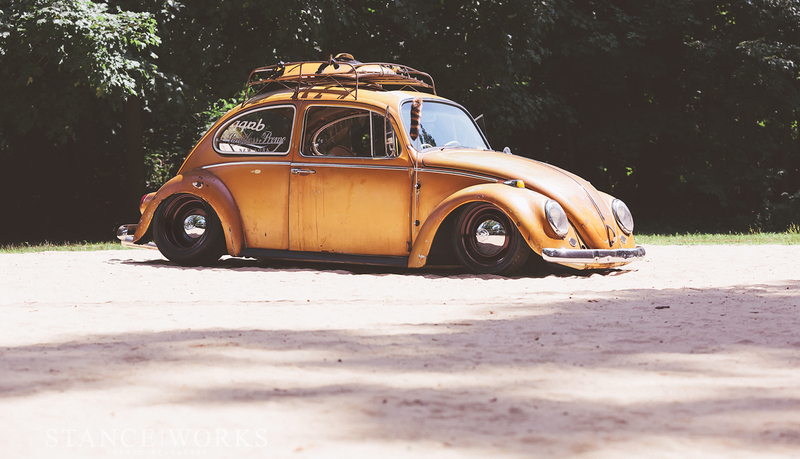 For now he claims that this one will be sticking around for good, a promise often broken, but one that I hope holds true for Anthony, and that his enthusiasm towards his 1965 Beetle remains. Anthony DiCarlo from Fridley, MN? About 41 years old and had a blue 56 Chevy in high school? Love the colour in the engine bay picture! Oh wait ..
nope, he’s 21 from LI. 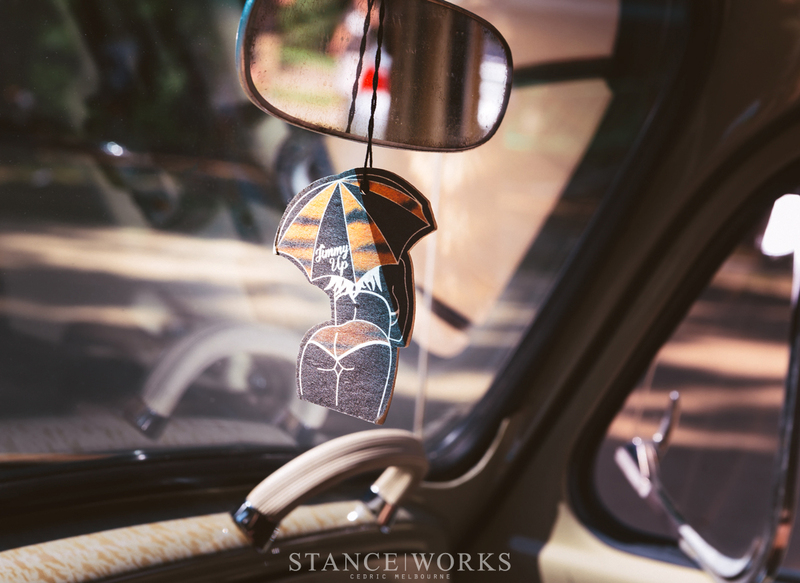 Any idea what brand freshener that is? L.E. TIGER Umbrella Girl Air Freshener – SOLD OUT – LIMITED EDITION- only 100 of these ladies available!!!! Which size of rims do you used on the back side? Car is in Maryland now and I am the owner.